After record cold, can snow scares be far behind? Cold turkeys? 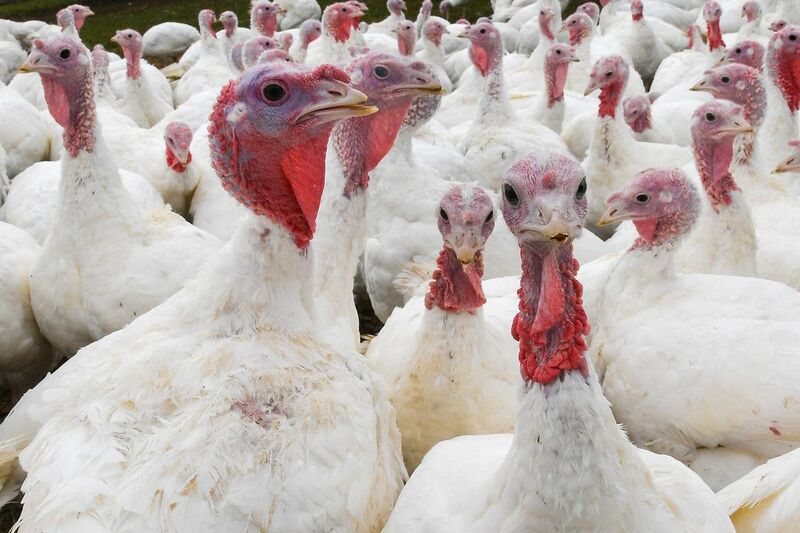 Chill coming next week; will these birds at the Jaindl Turkey Co. live to see it? Thanksgiving arrives a little earlier than usual this year, and if we can believe the extended outlooks, winter might well join it. Of course, that's quite a caveat. Following a record-setting weekend, moderation is due this week, but the government's two-week outlook favors colder than normal through the period. AccuWeather foresees "polar air" invading the East during the Thanksgiving weekend, potentially spawning a storm with wet snow from northeastern Pennsylvania into New England. An AccuWeather release quoted meteorologist Evan Duffey as saying: "We will have to wait and see the exact storm track, but at least some travel delays can be expected across the Northeast from heavy rain, snow and some rather strong winds." Somehow that prospect generated the first decent scare headline of the season, and what we believe to be the season's first wintry Twitter rebuke. For the record, AccuWeather's 90-day day-by-day forecast for Philly has nary a flake of snow. We are confident this will change for the simple reason that at the very least a flurry or shower before then is almost a certainty. In his update released Monday, AccuWeather alum Joe Bastardi, now with WeatherBell Analytics, reiterated his call for about 30 inches of snow for Philly by the end of this winter. Historically, the atmosphere has shown a profound disdain for three-month outlooks. At the end of October, the Climate Prediction Center updated its 30-day outlook that had the East awash in warmth. That forecast isn't looking so good right now. During the weekend, daily temperature records fell from Washington, D.C., to Vermont. With a high of 40 and a low of 23, Philadelphia set a record on Saturday for the lowest daily average temperature, 32.5, beating Veterans Day of 1987 by a degree. Wilmington, Atlantic City, Trenton, and Allentown all set low-temperature records. None of which says anything about what's in store for the winter, or for Thanksgiving for that matter.